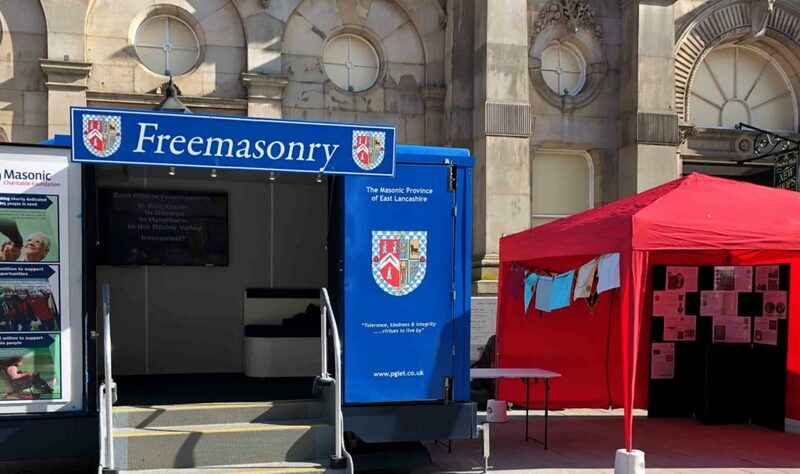 On Saturday the 6th April, a very sunny and unusually warm Spring morning, East Ribble District Freemasons rolled up to the Cultural and Heritage Festival in Accrington town centre with the East Lancashire Provincial trailer. Lodge Membership Officers representing many Lodges from across the District had researched and compiled a display of interesting snippets of Masonic history from their own Lodges. 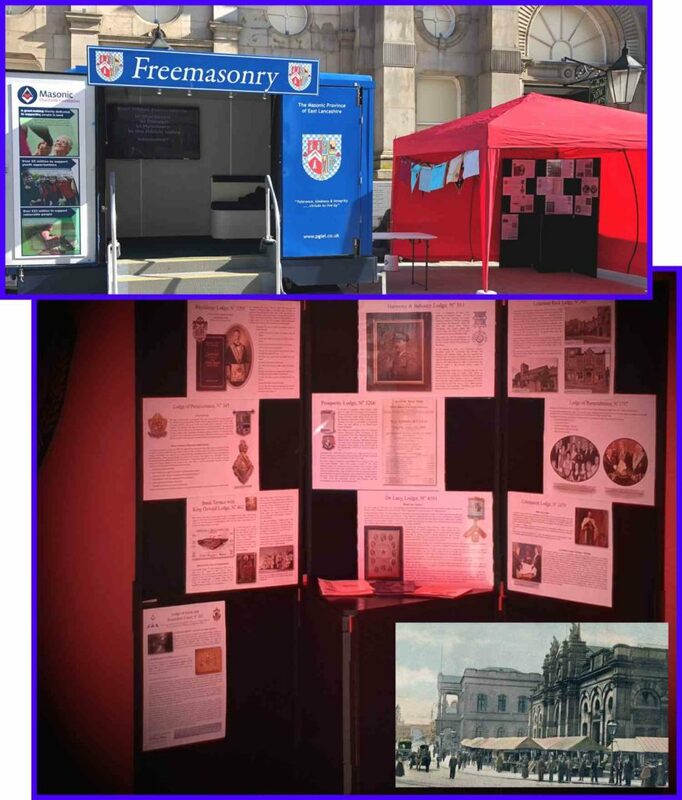 The display provoked stimulating conversation with Masonic and non-Masonic visitors alike. Many recalling past Masonic events and connections and some reminiscing on areas of the District and Province. Many thanks to those who gave their time to promote Freemasonry in the East Ribble District.